Edward O. Thorp is a mathematics professor, author, hedge fund manager, and blackjack player. 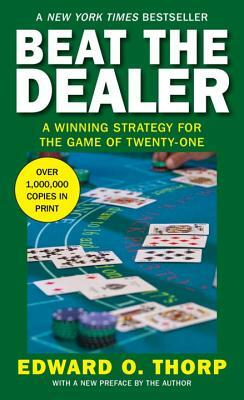 A pioneer in modern applications of probability theory, Thorp’s bestselling book, Beat the Dealer, mathematically proved that the house advantage in blackjack could be overcome by card counting. He is also the author of a guide to investment, Beat the Market; a memoir, A Man for All Measures; and numerous popular and scholarly articles. He lives in Newport Beach, California.